For the average layman, it might be next to impossible to believe that diabetes in cats is actually a thing.“Cats?” You’re thinking. “What are they going to tell me next? That there are actually little green men on Mars?” But the truth is that animals can suffer from diabetes and while it’s not something that’s very common, it’s also not something that is extremely rare. And it should be taken seriously, especially by cat lovers because if left untreated, it could result in drastic weight loss, vomiting, loss of appetite, severe depression and even coma for your cat. The reason for diabetes in catis the same as in humans – a spike in their insulin levels. For those who don’t know, insulin is a hormone produced by the body to remove glucose (sugar) from the blood. 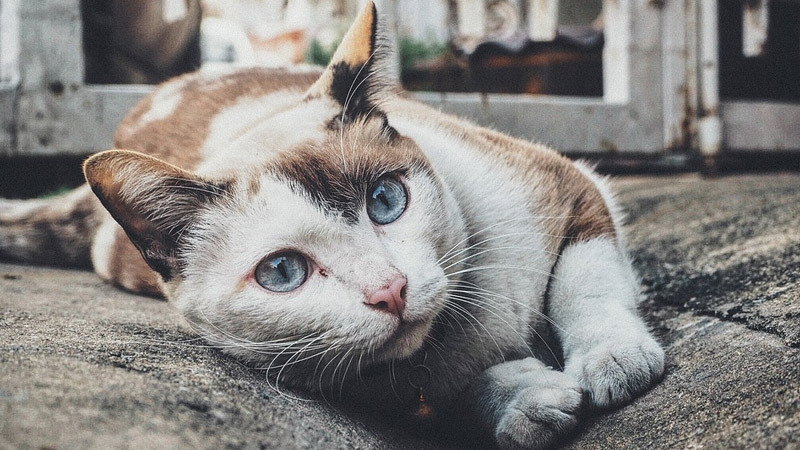 There are two types of diabetes – I and II, and an overwhelming number of cats suffer from type II diabetes.Here, the blood sugar levels increase, and you already know what happens if it’s left untreated. Scientists have yet to determine the exact cause of feline diabetes, but studies have shown that cats with poor diets, cats that are obese and older cats are more likely to get diabetes than cats in good shape and with a healthy diet. Needless to say, if you suspect that your cat has diabetes, you need to take her to the vet immediately. The vet will get a physical examination done, trying to ascertain why it’s displaying symptoms of diabetes. Often, these symptoms indicate other underlying medical conditions and it is the vet’s job to find out the exact reason behind those symptoms. Insulin: If it has type I diabetes, then insulin shots are its only option. You can easily give it shots at home, but if you’re not comfortable, you can take it to the vet till you get more confident. 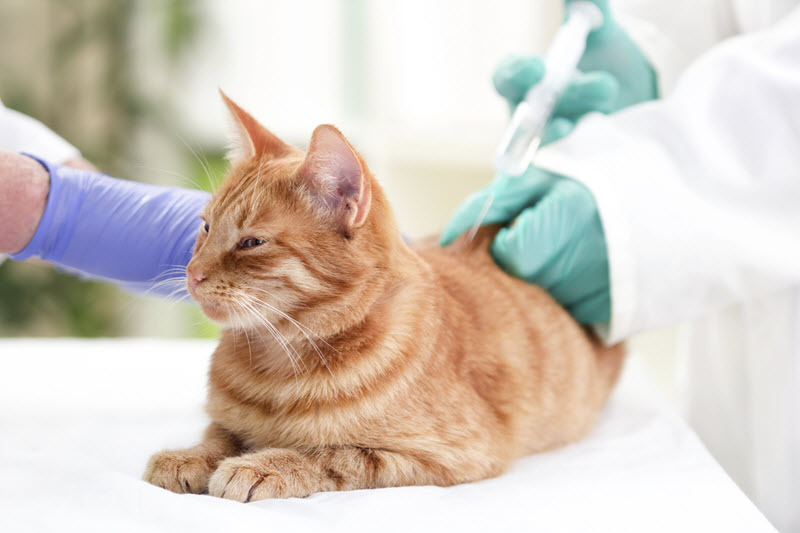 Depending on the severity of its diabetes as well as its medical test results, your cat may require 1-2 shots every day. Make sure that only one person from the family gives your cat the shots. It often happens that cats get double or even triple shots because the family members weren’t aware of each other giving the cat insulin shots. And if this keeps on happening, it will lead to severe medical complications for your cat. Medicines: Hypoglycemic drugs like Glipizide can be given to your cat orally to keep her blood sugar in control. 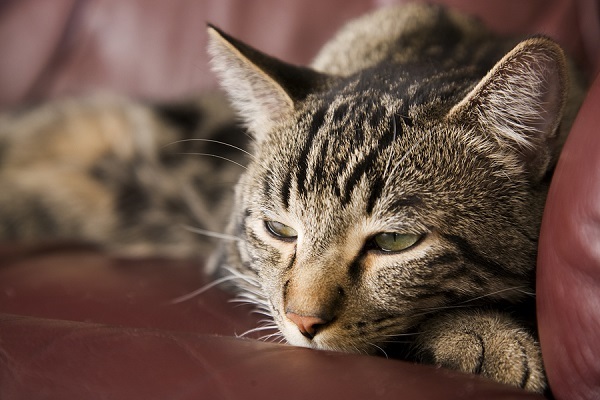 Your vet will have to continually keep a tab on your feline’s sugar levels in order to assess whether an oral medication will work on her or not. Changes in diet: If your cat is in the early stages of diabetes, then a simple change in her diet can easily keep it under control. In fact, if her diet is managed properly you won’t even have to go for that insulin shot even once! Focus on keeping your cat on a low carb diet. Many cats showed remission in their diabetes by simply changing their diets.Keep in mind that most readymade cat food is high on carbs, so it’s best to switch to home cooked meals. Physical activities: Much like with humans, diabetes in cat can be controlled if their physical activities are increased. Obviously taking her to the gym is not an option. What you can do instead is to schedule certain hours of the day where you play with her, keeping her active. 15-minute sessions two times a day are enough when you’re starting out. In the layman’s terms, remission is when no medication or treatment is required for your cat’s diabetes because it’s receding. Your cat has a 25% chance of having a remission, so never give up hope. Even if she doesn’t experience remission, keeping her diabetes in check is a big achievement in itself.And always keep in mind to get your cat tested regularly by your vet. The earlier the diabetes is detected, the higher her chances become of going into remission.